Nowadays, there are probably no people interested in poker who haven’t heard of the PokerStars cardroom. This resource has long been the biggest and most influential poker room in the world. How did its owner manage to achieve this? Where did it all begin? Let’s find out what’s what. Mark Scheinberg is a Canadian billionaire who made a fortune by selling the poker website. This family business was created in 2001, and in the summer of 2014, Scheinberg sold it for $4.9 billion, which instantly made him one of the youngest billionaires in the world. Mark Scheinberg’s parents immigrated from the Soviet Union to Israel where they gave birth to their son in 1973, a man destined to become the owner of untold wealth. Mark’s father, Isai Scheinberg, is a man of few words who keeps a low profile, does not give interviews, and does not like to be photographed. It is known that he was born in Lithuania, graduated from Moscow University, and that after moving to Israel he served in the army for several years. After leaving military service, Isai went to work for IBM. When Mark was thirteen, his father was invited to join the Canadian office of the company, and the family moved to the small town of Richmond Hill, near Toronto. In the early nineties, Scheinberg Sr. represented IBM in a syndicate which dealt with Unicode development. However, Mark did not take pride in his father’s professional success. After studying at Fanshawe College for only a year, he dropped out and decided to travel the world. Nonetheless, his father’s passion for playing poker led young Scheinberg to take up computer technologies. A fruitful idea of opening an online casino came to Isai. Rational Entertainment Enterprises was created, where Mark worked as managing director, helping develop the company’s concept. The fateful day of September 11, 2001, by coincidence, was the official opening of the PokerStars website. Interestingly, one of the policemen who saved people at the World Trade Center was Mike Kosowski, who, by chance, won a million dollars at the PokerStars poker show ten years later. In the very beginning, PokerStars attracted poker lovers with the room’s convenience and user-friendly interface, and in 3 months, users could play for real money. High margin made the business highly successful. 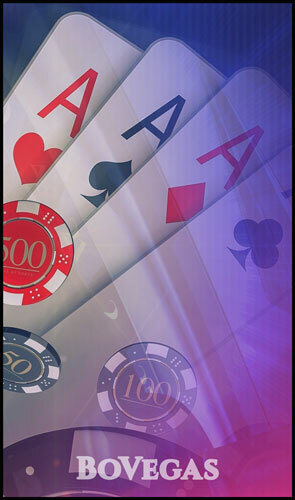 In the summer of 2002, Rational held an online version of the World Series of Online Poker Championship – World Championship of Online Poker (WCOOP). A qualifying tourney based on PokerStars turned into a new form of cooperation with the WSOP, as the tourney winners could participate in the main tournament. In 2003, an accountant from Tennessee, under the eloquent name of Moneymaker, who had previously played poker only at PokerStars, won the WSOP and was the first player to qualify through an online platform. This triumph brought about the “Moneymaker effect” – a surge of interest in online tournaments. The Scheinberg father and son team influenced the image of the game by flawlessly responding to fashion trends on time. For several years, Rational Entertainment Enterprises has been holding poker tournaments on liners and in many famous casinos, for example, in Lisbon and Monte Carlo. The Times reported that in early 2006, the project cost exceeded $2 billion, and the owners started thinking about selling the business. Rational founders rolled out an active advertising campaign aimed at further development of the brand. For instance, recognizable athletes became PokerStars faces: tennis players Boris Becker and Rafael Nadal, football players Ronaldo and Buffon. The Oldford Group Limited (a holding company uniting PokerStars and Full Tilt through the Rational Group) earned $1.13 billion in 2013, showing a 16 percent increase over the previous year. Net profit growth in the same year reached the enormous amount of $416.4 million (33%). In the first six months of 2014, the Oldford Group received $568 million (net profit – $218 million). In 2012, PokerStars launched a mobile application that allows you to play for real money, counting on a significant expansion of the audience, and, consequently, revenue growth. First, Rational Entertainment Enterprises was registered in Costa Rica. Then the Scheinbergs planned to receive access to the London Stock Exchange, and moved their headquarters to the Isle of Man, as the corporate tax rate on the island was equal to zero. It seems that the true reason for Rational Group’s move was the policy of the US government regarding online gambling. In 2006, the act on illegal online casinos, called UIGEA, took effect. Under the act, online sites were not allowed to accept bets. Isai and Mark Scheinberg used all the legal loopholes they could while it was possible, and continued operation in the United States. Meanwhile, the New York Attorney, Preet Bharara, became interested in the activities of Rational Group. In 2009, he filed a charge based on the testimony of the former head of Intabill. PokerStars and several other large online mediums were put on a charge of infringing the UIGEA and of money laundering. In the spring of 2011, the sites were blocked. PokerStars received the opportunity to pay off players by temporarily enabling access to the site. Full Tilt Poker did not get the same right. A year later, the Scheinbergs settled for a deal with the Ministry of Justice, paying $547 million to the authorities and $184 million to the “frozen” clients of Full Tilt. For this, Full Tilt assets were transferred to PokerStars. Nevertheless, Scheinberg Sr. is still under investigation, the charges have not been dropped, and there is no entry to the US to him. The authorities of the United States traditionally oppose illegal casinos. The first such law was passed in 1961. The Administration of the Democrats and Robert Kennedy, who chaired the Department of Justice, offered to change the existing criminal law, taking into account the development of telecommunication systems. At that time, the so-called “Federal Wire Act” was adopted. In 2002, a group of losing gambling players accused Visa and MasterCard of encouraging their addiction by allowing them to pay with credit card money in casinos. The complaint was rejected. Although the appeals court found that the Federal Wire Act applied to sports betting and sweepstakes only, the US Department of Justice insisted that the Wire Act concerned all online gambling activities. In a couple of years, Google and Yahoo! were forced to stop advertising such sites. In the fall of 2005, members of Congress from the Republican Party submitted the UIGEA act for consideration. The main reason for this was the problems of banks and credit card operators associated with online gambling. The new law defined stakes as “risking something valuable in the process of playing games of chance.” It is hard to agree that the game of poker is directly related to pure luck. Poker is more about cold calculations and a verified strategy. The online casinos that were in no hurry to leave the American market can’t help but agree. The lawsuit against PokerStars, filed in 2011, left no room for doubt in further action. Remaining at their peril in the United States after the start of the 2006 UIGEA, PokerStars qualified as top poker site in the world. Even after the trial and after leaving the American market, the Scheinberg company remains the owner of this title. By random sampling, 186,000 users played on the site on one winter evening, 26,000 of them for real money. None of the business rivals could ever achieve this. In last years, UIGEA has weakened somewhat, but the “black spot” of PokerStars and Scheinberg remains. In 2013, the ban on licensed activities was extended for two years in New Jersey. The Scheinbergs were forced to look for an investor with access to the US market. Canadian company Amaya Gaming decided to buy out Rational Group for $4.9 billion in cash. 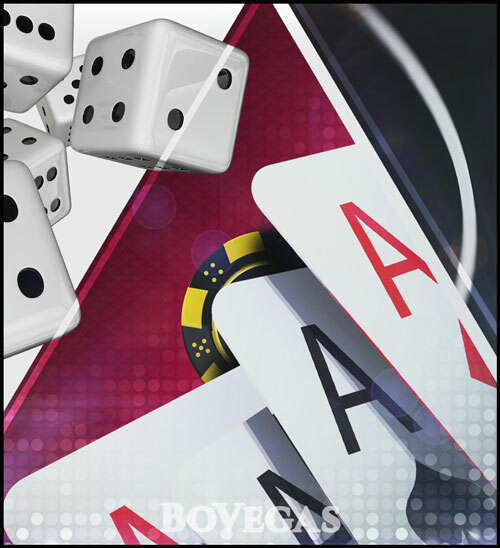 Now it is Amaya that has become the largest public company in the field of gambling. On the day when it was announced that Rational Group was acquired, Amaya securities on the Toronto Stock Exchange doubled in price, and the volume of trade increased 20 times – to 10 million shares. The deal was closed in August 2014, and the Scheinbergs finally parted from their project. Mark Scheinberg, who owned 75% of the company, received $3.7 billion. According to Forbes, in February of 2018, the capital of the younger Scheinberg was $4.1 billion. At parting, Mark encouraged the company’s employees by calling them competent, persistent, and dedicated to their work, which means that the company is guaranteed new success. The Essence of Poker: Counting Cards or Cracking Minds?